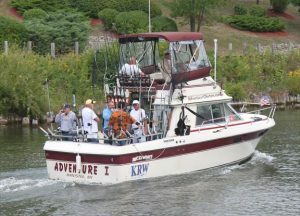 Salmon fishing is on the slow side but some are still being taken in 60 to 130 feet of water areas first thing in the morning, using spoons off the dispeys and downriggers and two, three, five, and ten colored lead lines with the Offshore boards. Working 25 to 60 feet down. 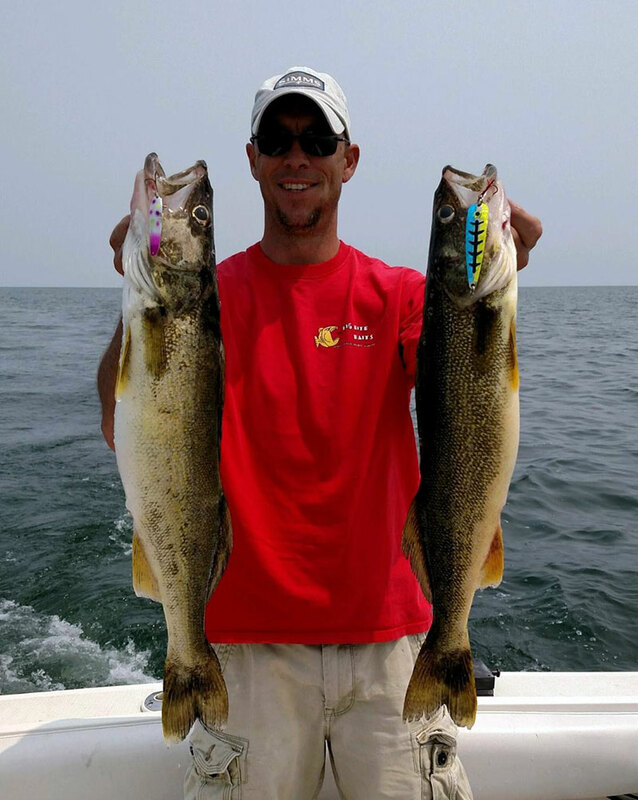 Halloween, Yellow tails, green with glow, mongoose, and watermelon colors are still working best..
Lake Trout fishing is slow to fair fishing in 70 to 130 feet of water. Use dodgers with spin and glows, squid,or flys close to the bottom. Try green, black and white, orange, and yellow colored spoons. Be there early morning for the best bite. Some Steelhead are still being taken on the color lines. Start in 60 feet of water and work out. Green and glow, orange, and bright colored spoons on two, three, five and ten color lead lines with the Offshore Boards are working best. Early morning is the best fishing for right now. 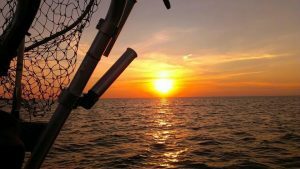 Walleye fishing is still on the slow side, but some are being taken North of the harbor at first light in 70 to 90 feet of water on crawler harnesses or small spoons and body baits. Early mornings and late evening.